Home / Podcasts / Themes / How popular was the Nazi regime? 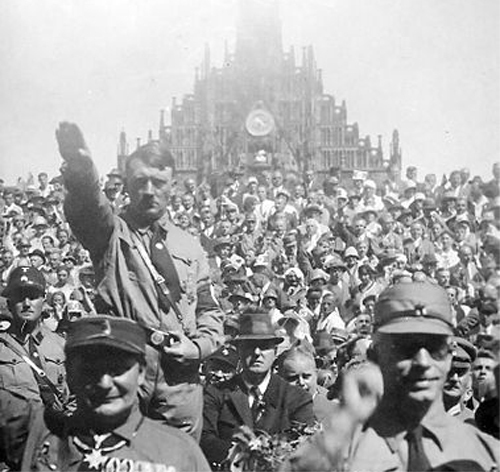 In this podcast Sir Ian Kershaw looks at the popularity of the Nazi regime. 2. Research focus changing: opposition and dissent to conformity and consent. 3. The people's community. Did the Germans support Hitler to the bitter end? Common goals and desires. 4. The popularity of Hitler himself but dislike of other parts of the regime. A consensual dictatorship? 6. Popularity and criticism of the anti-Jewish policy. 7. Hitler and Nazi Party Popularity nosedives from the middle of the war onwards. 8. Political opponents on the left. 9. Opposition from the ruling elite.